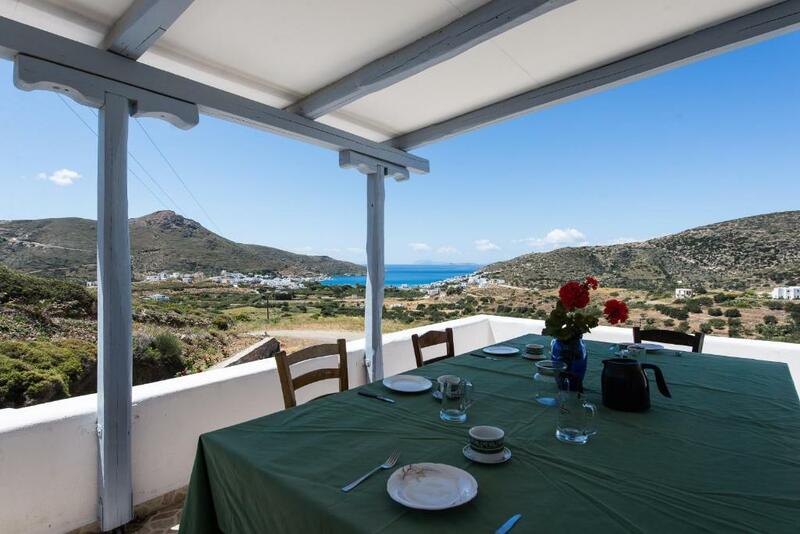 Located in Katapola Village, the traditionally built Thomas Villas offers a fully equipped and tastefully decorated unit with Aegean Sea views and free WiFi. Katapola Port and the nearest beach are at a distance of 0.9 mi. 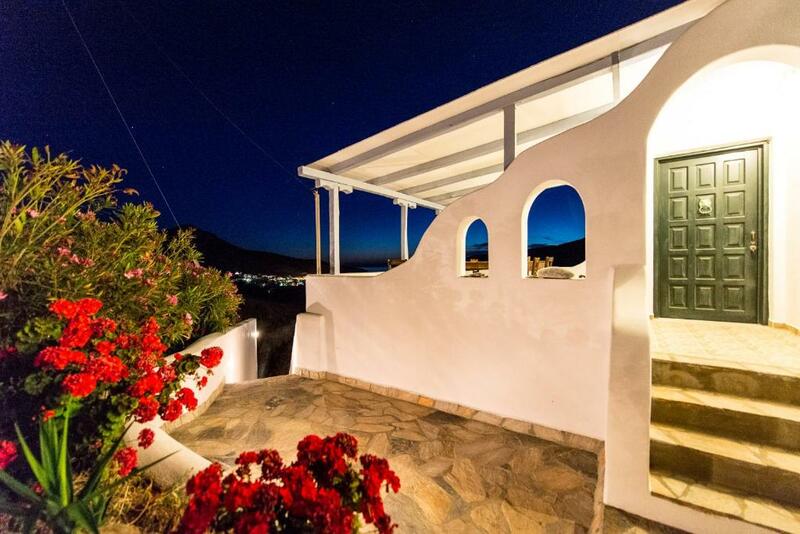 Fitted with a fireplace, this air-conditioned and split-level villa of Thomas has 2 separate bedrooms and opens to a furnished terrace and a balcony. It consists of a living room with flat-screen TV and a kitchen with dining area and oven with hobs. A washing machine and an iron are included. Guests may enjoy the BBQ facilities along with al fresco dining. A spacious garden is available at the property. Bicycle and car rental services are provided. Several restaurants, café bars and shops can be found within a short drive. The Dome of Agios Onoufrios is 4.8 mi away. 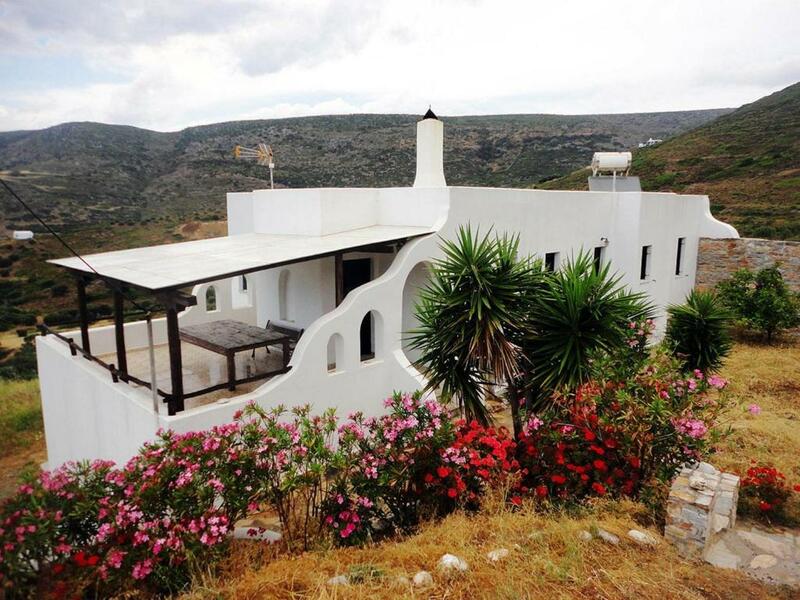 When would you like to stay at Thomas Apartments Katapola - Chora? This double room has a private entrance, patio and tile/marble floor. House Rules Thomas Apartments Katapola - Chora takes special requests – add in the next step! Thomas Apartments Katapola - Chora accepts these cards and reserves the right to temporarily hold an amount prior to arrival. Please inform Thomas Apartments Katapola - Chora of your expected arrival time in advance. You can use the Special Requests box when booking, or contact the property directly using the contact details in your confirmation. A couple of sun beds on the terrace needed. Very spacious, very good sofas and beds. Wonderful views of Katapola. Easy access to good walking paths. 25minute walk to port along stream bed. Very quiet and peaceful.